Be on the Beach all Year Long! Luxury Living! Enjoy Endless Skyline & Ocean Views from this Gorgeous Waterfront One Bedroom with Garage Parking! Located in the highly the sought after St. George Building! Offering a Perfect Floorplan for Wonderful Living & Memorable Entertaining! Huge Open Concept Living & Dining with a Wall of Glass Sliders to your Balcony Overlooking the Atlantic Ocean and Boston Skyline! Large Custom State of the Art Kitchen with top of the line appliances will make any Chef Smile! Complete with abundant cabinetry, Hardwood Floors & Granite Counter tops! Lavish Bath! Huge Master Bedroom with 2 Closets, including a Large Walk in! Unique Office Alcove with Custom Built ins! Laundry in unit. Remarkable Full Service professionally managed building with 24hour Concierge, Superior Fitness Center with Indoor pool, Jacuzzi & Sauna! 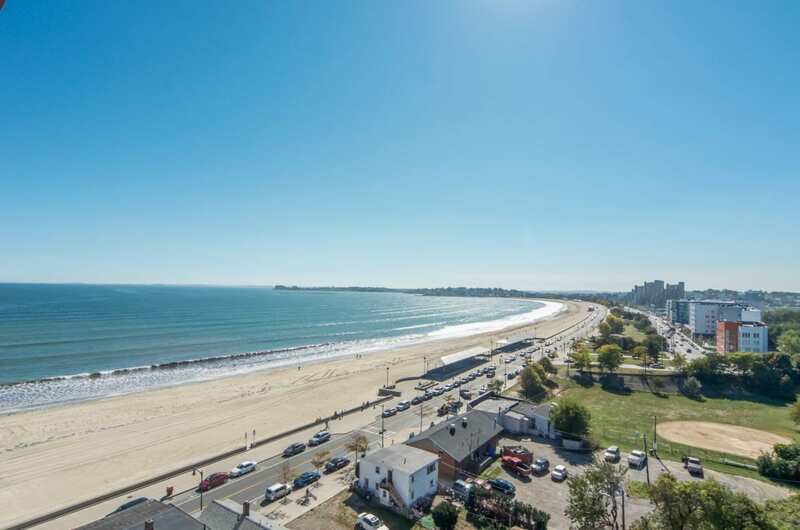 Steps to the Beach, Restaurants, T Station and Downtown Boston! Have it All! Click here for more photos and the floor plan!